OK, so do you remember last week I had a mahoosive clear out of yarn? I sold some of it on ebay, which made me £120 to pop in the Yarndale fund. And then I had a pile of odds and ends and single balls. Those I intended to turn into some sort of charitable donation. Well, I have worked out where I will donate them. I have found a foundation called Knit For Peace. This foundation takes in all kinds of hand knitted and crocheted goods and allocates them to much smaller initiatives in need. Homeless shelters, old peoples homes, hospitals, refugee outreach programs, women’s shelters, to name just a few. So now I know where I will send them, it was time to start crocheting. So this past weekend, I started with two pairs of mittens. I made one with the leftover Noro Haniwa from my Sailors Moon jumper. This pattern is the Make us in One evening With a great movie Mitts by A French Touch. And I made 1 from DMC Natura. These are the Lucious 1 Skein Mittens by Tamara Kelly at Moogly. One small pair and one chunky pair. Next on the agenda, a couple of chunky hats. I am currently living in a hotel with 10 other trainee signallers (I have 12 weeks of this to get through) and I am suffering a touch of social burnout from constantly being around the same people from breakfast to dinner, so this evening I had dinner early and alone, a very comforting dinner of pizza and halloumi fries, then had a lovely warm shower, and now it’s time to cosy up in my jimmers and crochet. Lush. Hi all! Another busy month and yet again, I totally didnt notice july passing until it was 2/3rds of the way done! So its another small batch from me this month. These two lovely little flatties were made using Drops Love You 8 and a 3mm hook. I love how vibrant they are. And the good news is they both went to preemies! Another month with all passes, even though it is only a small batch. My co-ordinator will be on holiday for the last week of August, so for Augusts donation I will need to get started earlier! Time to get cracking! As you will remember, If you read my mid march update, I had made 4 and a half little critters. I had hoped to make one or two more but my carpal tunnel had started to play up. Unfortunately, I was unable to do more than finish the 5th. I managed to finish my jumper without much pain but I think the tension and the small size of the hook is what is causing me the pain more than anything. When making the tentacles not only was I getting pain in my wrists and lower arms, I was also getting quite severe pain in my shoulders. So I decided to finish the last one and put them down for a week or two in favour of projects where my tension is much more open and the hooks are a little bigger. And Jelly no.4 Made using 15g of Scheepjes Catona in a colourway I cant remember (maybe pistachio?) – going to an angel – due to smll holes this time in the increase rounds. 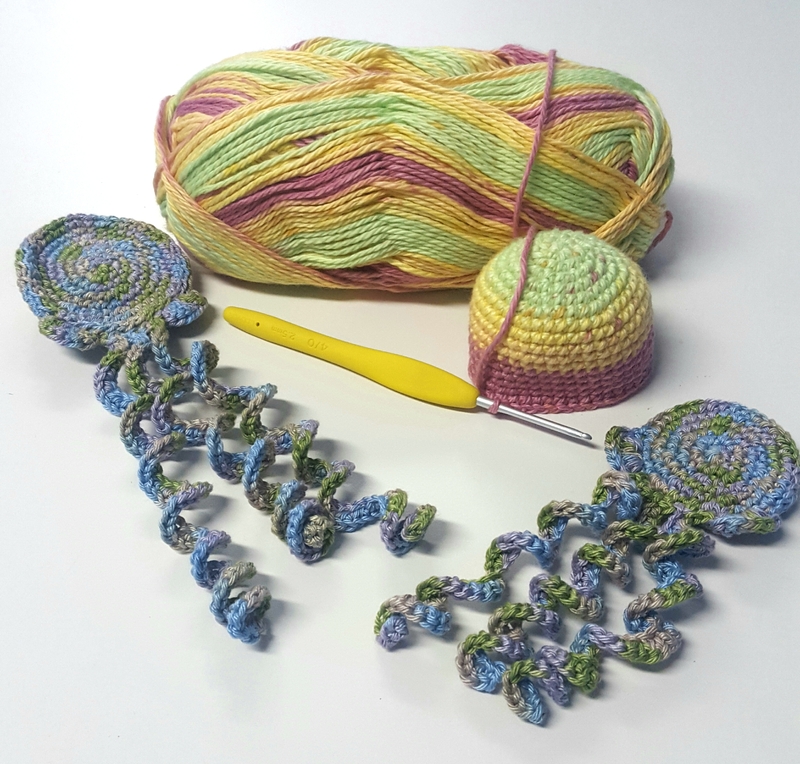 So today I want to introduce you to a brilliant way of using your crochet and knitting skills for good. 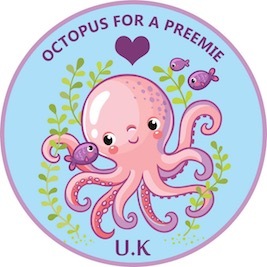 Many of you will have heard of Octopus for a Preemie UK, or will at least be aware of the idea of making octopusses for premature babies. But for those of you who are not here is a quick breakdown. NICU units often struggle with premature babies pulling out their tubes and canulas and such. Sometimes this can have really dangerous consequences. The octopus for a preemie idea was originally created in Denmark where researchers found that as well as reducing the risk of the babies pulling out their tubes and wires, it also calmed them, regulated their heartbeat a breathing etc. Octopus for a Preemie UK (you can find their website here) is a wonderful group of people who work hard crocheting away little octopals for preemies all across the uk, and I have just joined them. Over the course of this year I will be making an #Octopledge to make at least 2 a month. And I plan to make Bi Monthly updates on my progress as I learn and progress. 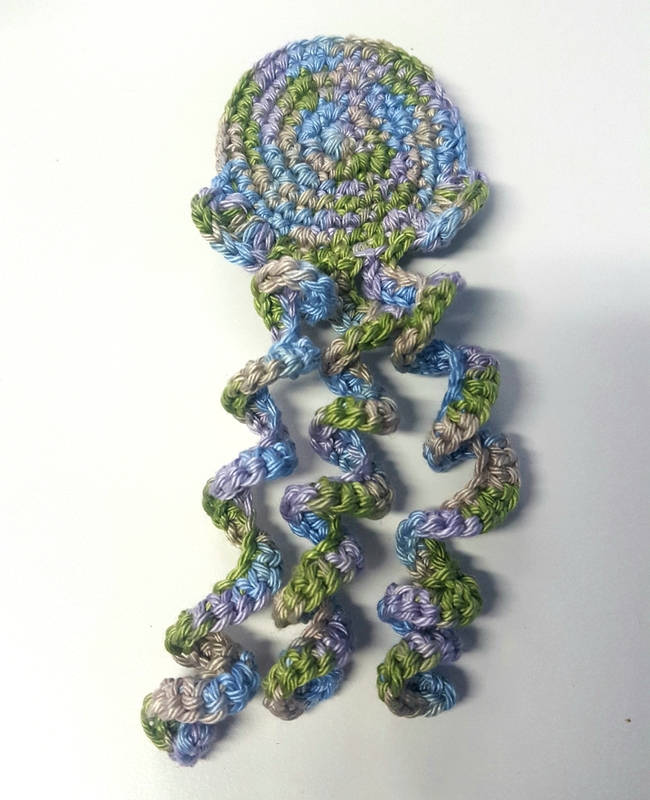 My first flattie – Made using Sirdar Cotton Prints in the Summer Meadow colour way. I made this one in my normal tension to see first home my standard way of doing things fayres. Its incredibly important that they are free of holes. And my second one. This time, I tried Yarn Under, a new technique to me. It takes some getting used to but is raved about by the other makers as it has less holes if you do it correctly. 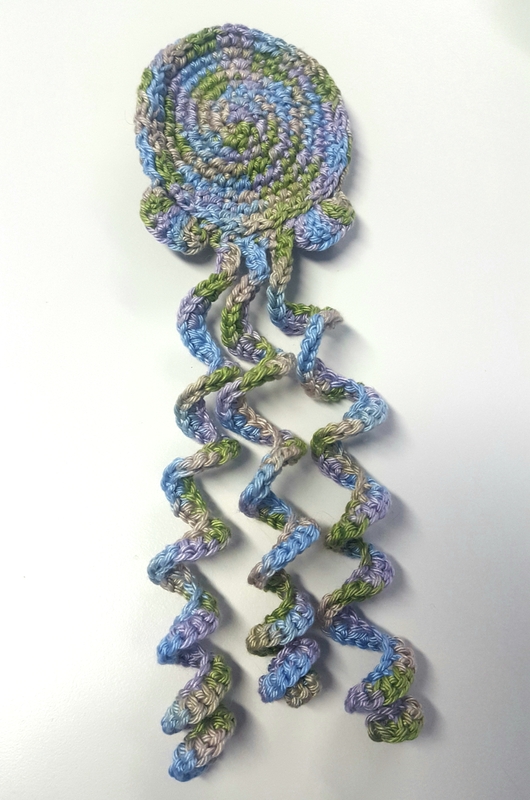 I have just started making a little octopus, using King Cole Cotton Crush. I must say I love being able to yse varigated yarns in colours I mught normally steer away from. Anyways, I hope to finish this octo and try out a jelly too. Then it will be off to the co-ordinator they go for inspection. I hope they do, but if they dont meet the safety standard to be sent to a premature baby (which is likely – most people dont succeed on their very first try) then dont worry. They dont go to waste – they go to angel babies as a sort of comfort for the parents. 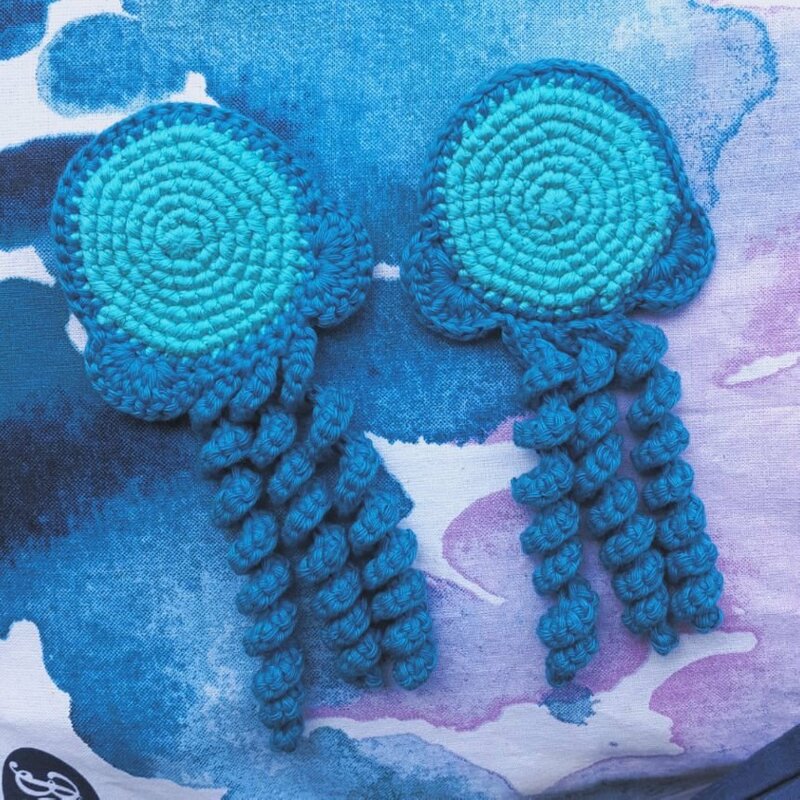 I have heard a very beautiful phrase whilst talking to other makers – no octo/jelly/flattie is a failure, they just have different journeys to make and different jobs to do. Anyways, Hopefully I will have more to show you by the end of the month. Ok. So I am a day late again. Whoopsie. I just came off of a 7 day streak of night shifts so yesterday when I finished I was so tired I couldnt even work out how to turn the computer on. You may or may not know that the main function of my job in the railway industry is in security, specifically terrorism prevention, and yes, I was working during the latest attack in london. That night was both physically and mentally exhausting being that my station is so close to the attack. We had to be on our guard all night and as more and more news came to us from the police it looked more and more like it was coming our way. But it didnt and for that I am grateful. I am also terribly sorry for the people who lost their life those who were injured or even just affected by the event. But please be assured people like me and my colleagues as well as the emergency services are working to keep you safe every day and whilst we cant always prevent attacks we do help to stop many and keep the risk of attack as low as it can be by not giving them the opening they need. Anyways, back to subject, I am completely exhausted but over the course of this week I did manage to make some good progress on my 3rd Battersea Doggy Blanket. I have managed another 32 rows, which is pretty good progress. Thats more than 4 rows a day. 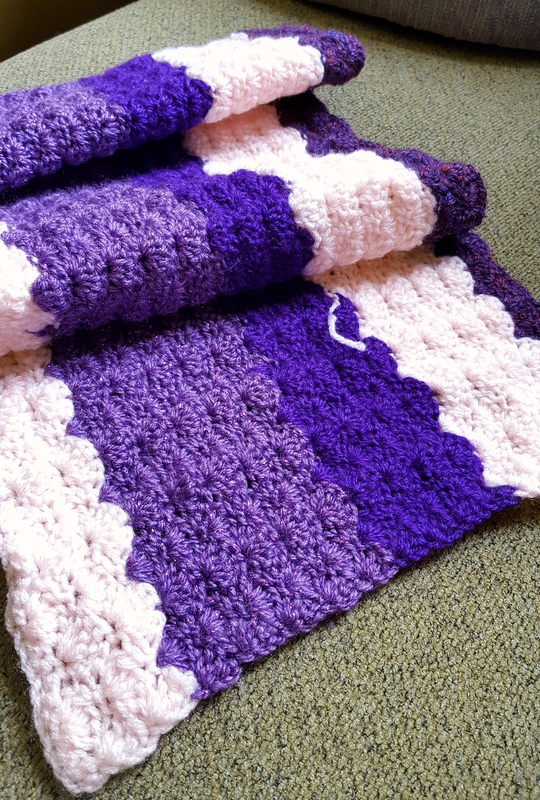 Since Saturday nights attack and also the Manchester attack it can be easy to feel down on the world, but I figured something – I was sat there crocheting this blanket at about 2am, and I decided that the only way we can stand up to terrorism is to not only support the victims but to show kindness ad compassion every day in as many ways as we can. I already donate money on a monthly basis to Mind and Cats Protection and I regularly make clothing donations to BHF. But I should and could do more. Making these doggy blankets for battersea has really motivated me and made me feel good. So I think I should continue making more things for charity. So if any of you have any charitable crochet project suggestions, leave me a comment. I really want to do more to contribute my skills to those in need. I already blogged about it in my first WIP wednesday post, so I wont waffle on too much. I started it whilst I was on holiday. Mostly whilst chilling on my balcony in the sun. 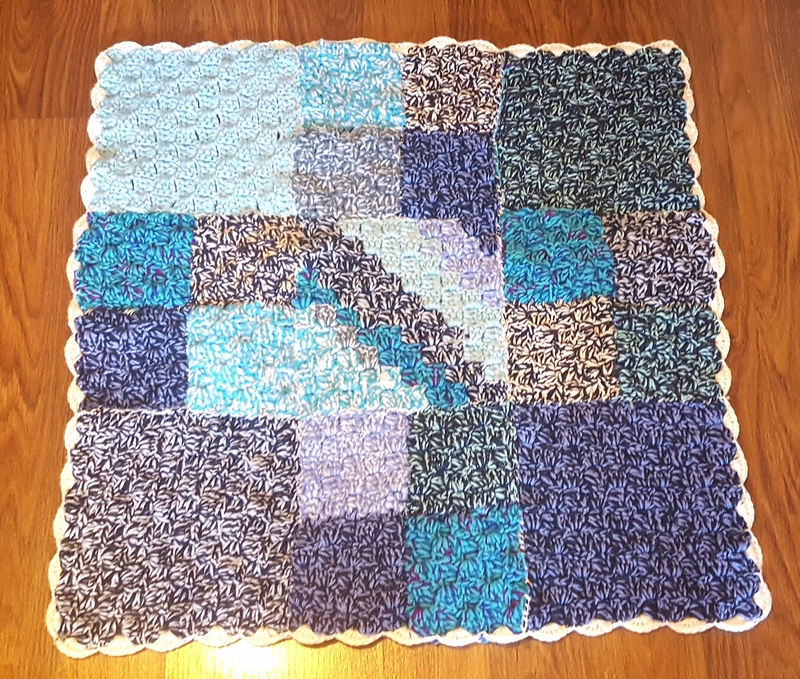 I finished making the squares whilst on nights a week ago. The sewing up was the most boring part, but now it is finally done! More importantly, I am sure you are dying to know, this blanket used up a total of 425g of yarn. So if we add that to the 75g of yarn from my sandals, we reach the magical 500g! And since I have started a new blanket before finishing this one, I believe I am now closer to the 600g mark! And you know what that means? NEW YARN! YAHOOOOOO! I am off to oogle at the yarn on wool warehouses drops yarn sale! I will pop in to share with you my haul as soon as it arrives!